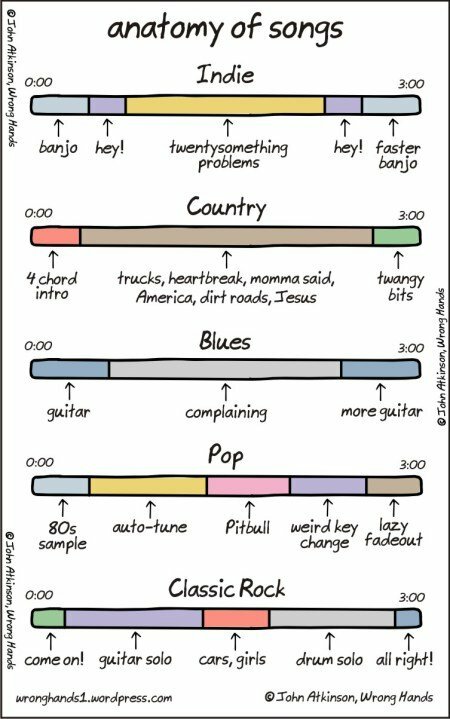 This is a great cartoon from Wrong Hands, the Indie example being my favourite in that it basically sums up the Lumineers and Mumford & Sons, in one handy timeline. I don’t listen to Country, Blues, Pop or Classic Rock enough to comment on those particular examples, but given the unerring accuracy of the Indie one, I can only assume that they are absolutely spot on. I await the Tall Accountant’s comment on the bottom one with eager anticipation.